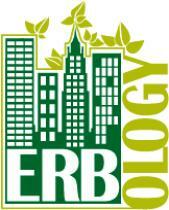 Jeffrey Erb Landscape Design was busy creating wonderful gardens in 2012. However, some of them are only going to be in full bloom for the first time this season and we can’t wait to share them with you. Until the plants are in full leaf, we thought we would give you a sneak peek of some of our newest gardens. 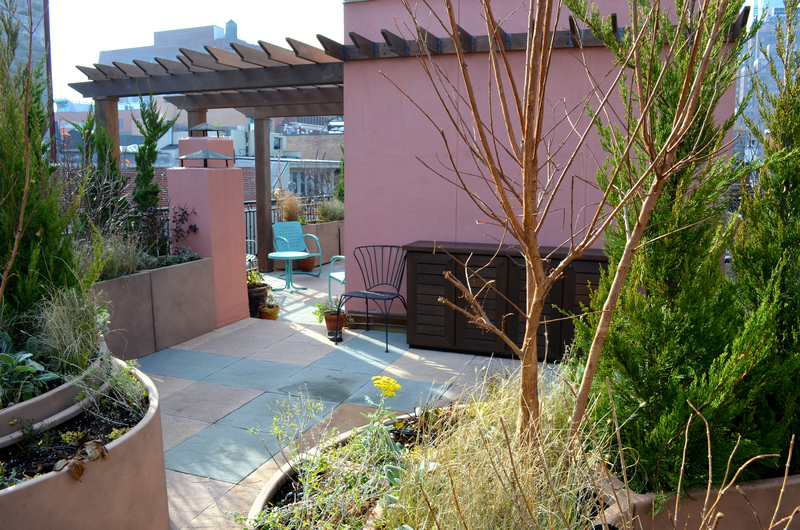 This Soho rooftop now features a custom pergola to escape from the hot summer sunshine. 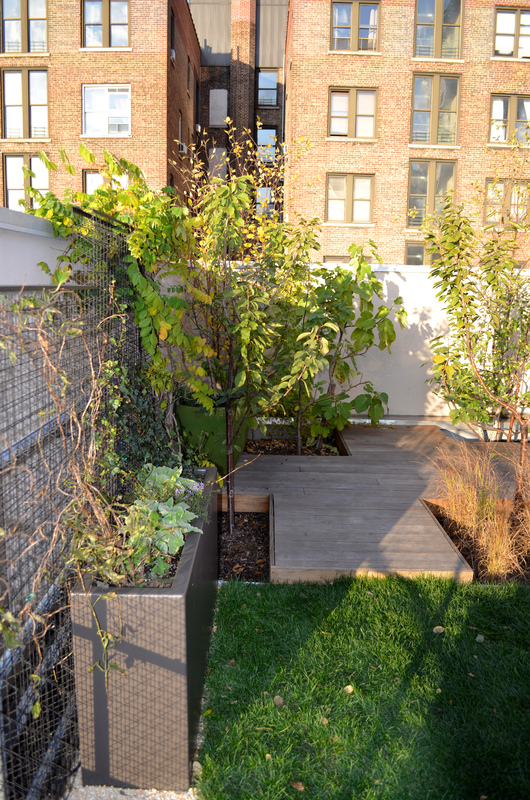 Custom tiered planters offer two levels of flowering vegetation. We utilized the method of color blocking to create groupings of perennials within a set range of colors. 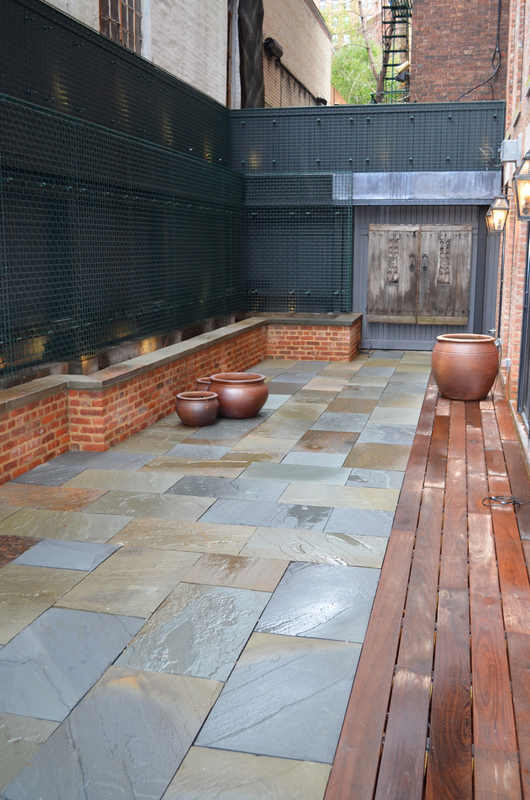 A chic backyard in Greenwich Village has been completely gut renovated. 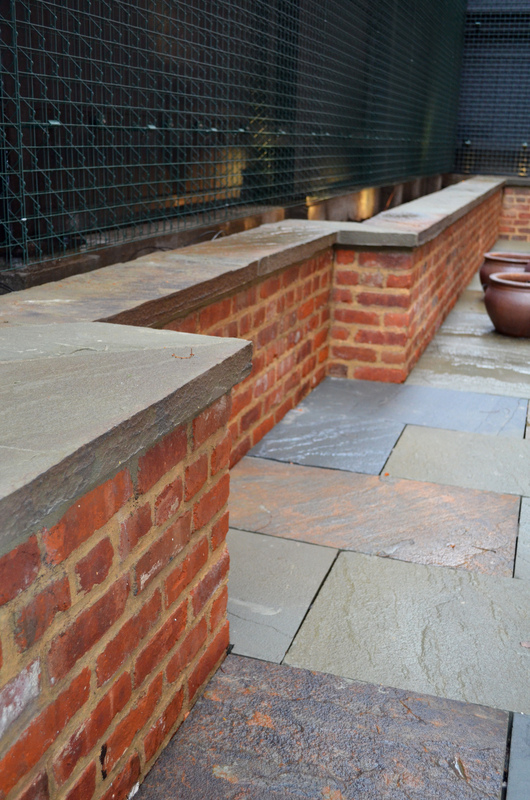 New bluestone pavers, a retaining wall and custom decking give the space a whole new feel. Our plantings will be highlighted by a low voltage lighting system. Midtown Manhattan never looked better than from the roof of this private penthouse. 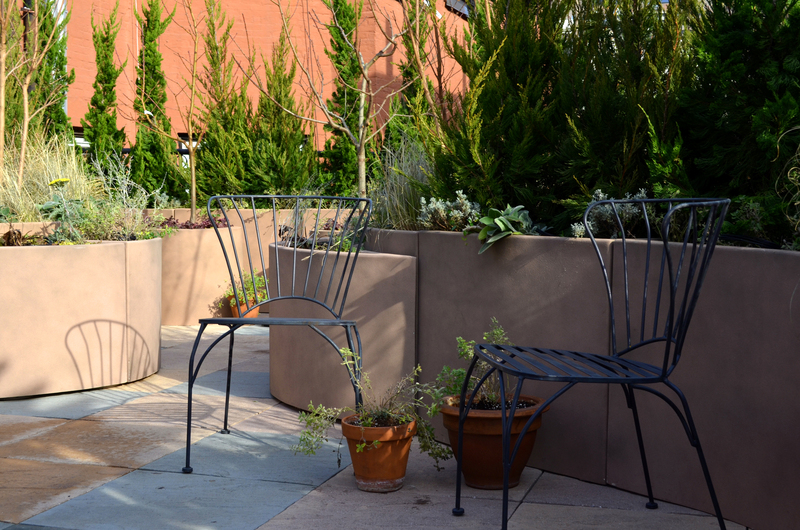 Custom fiberglass planters anchor the edge of a deck which sits above a luxurious rooftop lawn. We installed over 250 square feet of live sod on this rooftop. The four-legged resident of the house is thrilled!